How can you create a mobile advertisement for your Syracuse, NY business or organization? It’s a wrap – literally – when you choose to have Seaboard Graphics create your custom vehicle wrap. 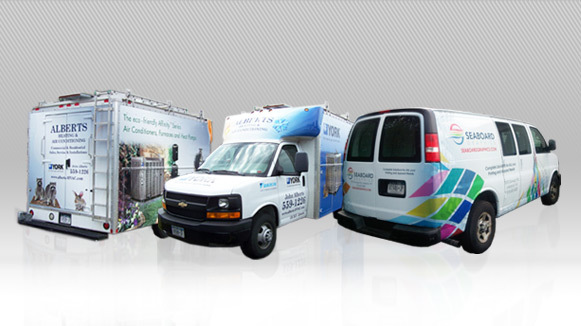 With vehicle wraps from Seaboard Graphics, you’ll be able to use your fleet not only for transportation, but as a valuable marketing tool as well. You’ll be able to travel all over Syracuse, NY in your custom-wrapped vehicle, making it a rent-free mobile advertisement for your business or organization. Potential customers will see you, whether you’re on the road or parked strategically in high visibility locations. 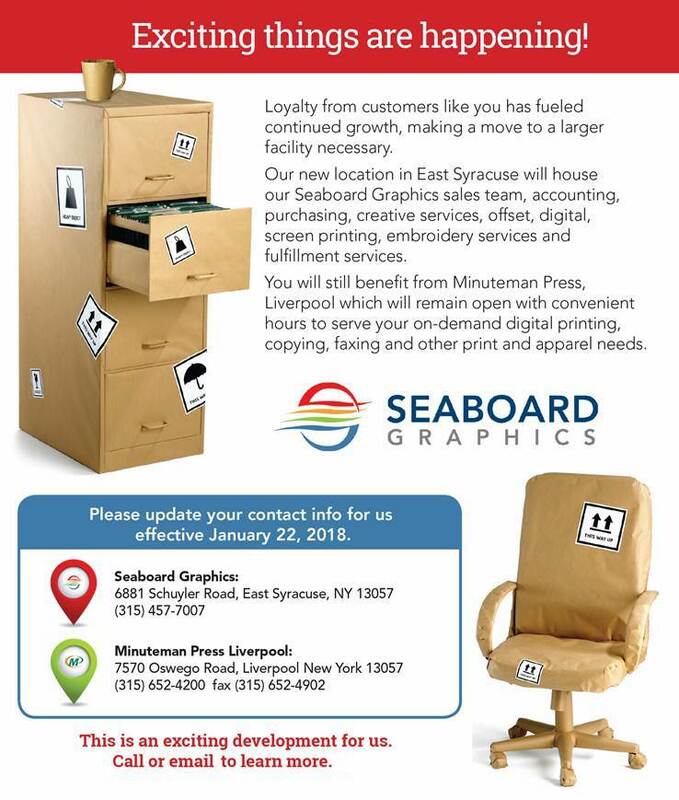 Seaboard Graphics offers Syracuse, NY wraps for a variety of vehicle types. What’s more, Seaboard Graphics will be happy to work with your existing design, or one of our talented graphic designers will help you create your fully customizable vehicle wrap. To create a custom wrap for your vehicle – or your entire fleet – call Seaboard Graphics at 800-721-1663 or fill out this convenient online form.